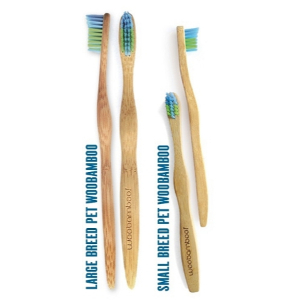 WooBamboo is incredibly proud to introduce Pet Brushes, for both small and large breeds! 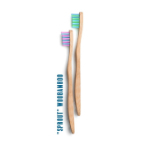 LARGE BREED WooBamboo brushes are for the bigger dogs. 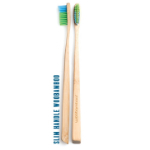 They're a lot like WooBamboo adult brushes, with some ergonomic adjustments and bristle modifications. 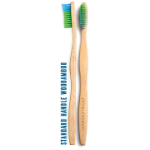 SMALL BREED WooBamboo brushes are for the smaller dogs, cats, ferrets, etc. 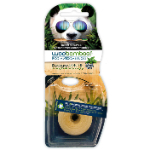 They're a lot like WooBamboo kid's "Sprout" brushes with some ergonomic adjustments and bristle modifications. 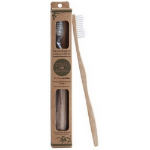 As WooBamboo says, "Veterinarian approved, mother-nature recommended."